The terms “special needs” and “challenges” are often synonymous with one another. In fact, challenges are a part of life, whether experienced neurotypically or with special needs. However true this may be, the people at 4th Wall understand that when a person is on the autism spectrum, those challenges often create barriers to social involvement, sense of self worth, and the quality of life experience. Throughout theatre history, the stage has been a place for people to communicate in different ways: from monologues and singing, to interpretive movement and rhythmic dance. The arts have set the scene for people to learn about the world and themselves. The three parts of musical theatre—acting, singing, and dancing—can be a very important tool in the continued development of a person who experiences the world through the lens of autism. There are many social skills that theatre continually develops, from the first acting game to the final performance: learning how to make and keep eye contact, taking turns in speech (dialogue), and making friends, etc. Eye contact is a natural result, albeit gradual for many with autism, of sharing a scene with another person and communicating a shared experience. This skill is also encouraged by learning the stage’s rules of placement next to others, as well as the acknowledgement of the difference between those on stage and those watching from the audience. Among the many wonderful benefits of theatre (and I’m only slightly biased) is that it serves as fun “practice” for much of what can challenge those on the spectrum, including holding a conversation with another person. Through enjoyable, nonthreatening games and structured exercises with the words provided, conversation is encouraged as a goal set by theatre. Theatre as an art form is just generally a fertile ground for friendship. The act of joining others in being brave and respectful of others onstage naturally leads to sharing a kinship with them that is hard to shake off for all who try it. 3) self-affirming “rewards” for individual effort (accepted and applauded for uniqueness: not required to meet a “standard”). Theatre involvement battles the confines of learned helplessness by focusing on creating positive outcomes from social and physical interaction (applause is a huge motivator). Through the process of singing, dancing, and acting along with others, each participant is allowed to take ownership of his/her actions. Those actions come to ultimate fruition when the parts of the theatre, and all those participating onstage, come together for what they have been working towards: the performance! The connection between the actors’ own independent actions and the resulting positive outcome is powerful. Amidst the flurry of therapies, doctor visits, and education concerns, the focus on enjoying life can get lost. While there are many aspects that contribute to quality-of-life, an undeniable truth of living your best life is to experience that which brings you joy. Theatre allows individuals to learn about themselves. For children with autism, discovering how to be true to who they are and what makes them unique can lead to smiles that do not easily fade! Be careful of how your actions could hurt you or those around you. Helping someone to understand that he/she has ownership of their actions and that those actions can affect the well-being of several people is impactful for those on the autism spectrum. Be mindful that your words and actions can be harmful to the way others feel about themselves. Just as with “be safe,” allowing individuals to take ownership of what they do or say, and how it may affect others, provides an opportunity for growth. In the theatre, this “rule” often leads to friendship and increased enjoyment of the activity. Each “rule” describes another way to have fun and to try new things in the structure of a “safe space.” In fact, the benefits of theater involvement for those on the autism spectrum are all ultimately about this: fun (with some amazing cherries on top)! People of all abilities—adults, youth, kids—are often stopped from trying new things by their hang-ups, fears, or things they can’t control. For those on the autism spectrum, theatre presents a welcoming stage where what is unique about us is applauded and independent choice is encouraged. 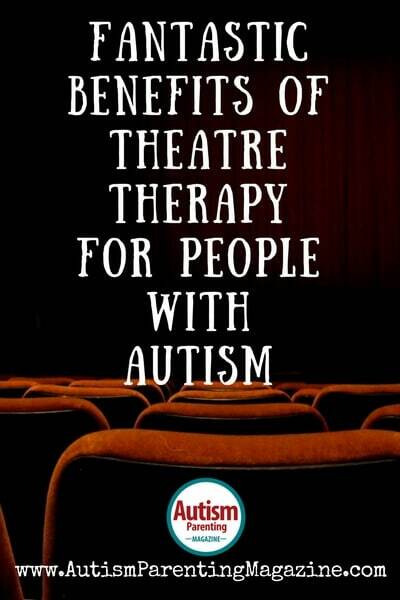 With the added benefits of improving social skills, self-worth, and quality-of-life, theatre therapy offers a safe space to have experiences that “challenges” or “special needs” have no say in! Robin Bennett is the author of Broken Bird, blogger, and instructor for 4th Wall Theatre. She is also a proud wheelchair user and legal advocate for those with disabilities, often seen in Lansing’s capitol building driving her cause. In theatre, “the 4th wall” refers to the invisible “wall” separating the actors onstage and the audience watching the action. 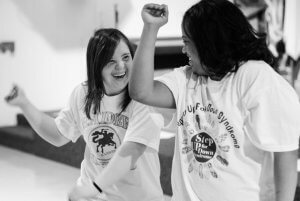 4th Wall Theatre Company, founded by Katie Mann and Annie Klark and headquartered in Livonia, MI, derives its name from our mission to use theatre as a form of therapy to help improve communication, socialization, and behavioral skills. 4th Wall aims to break down the barriers to theatre arts for children and young adults with special needs.